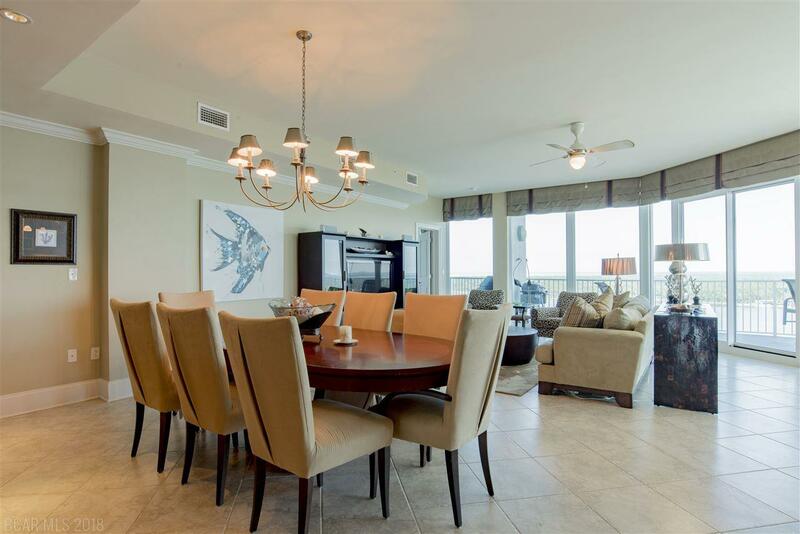 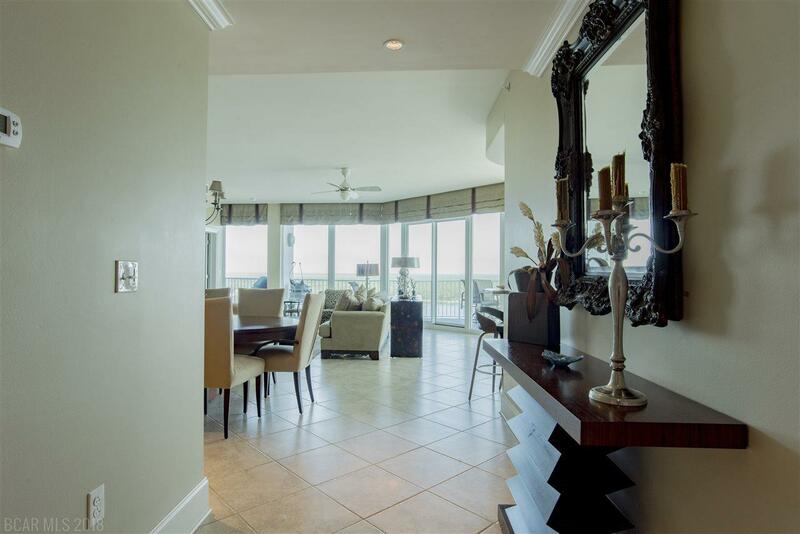 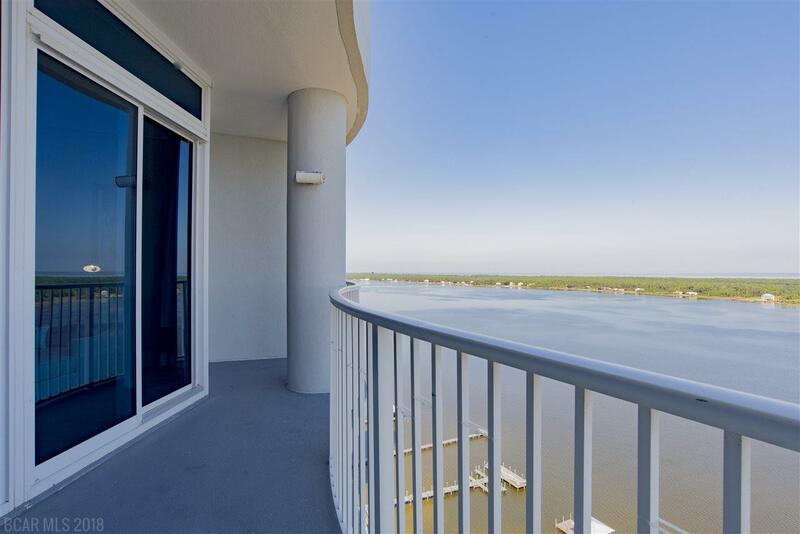 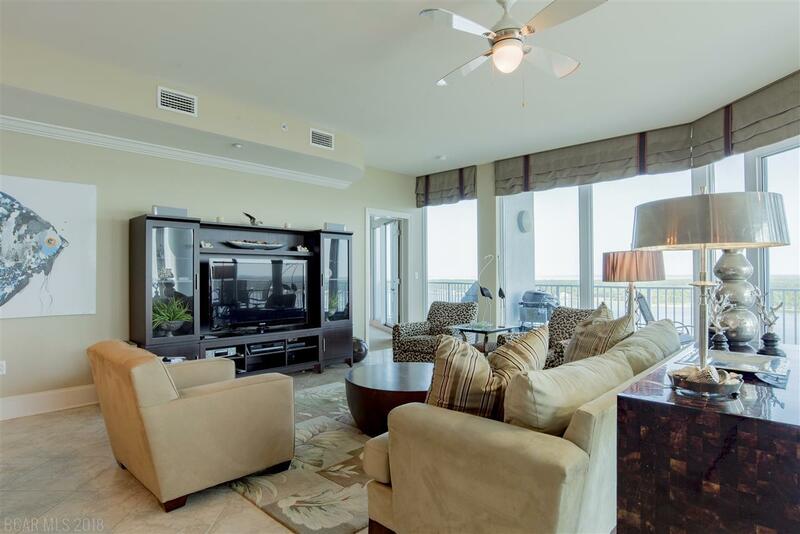 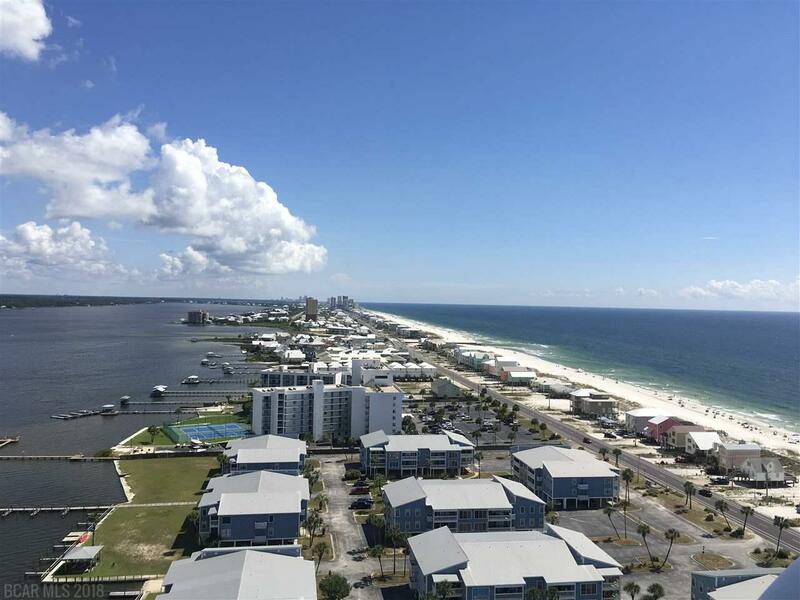 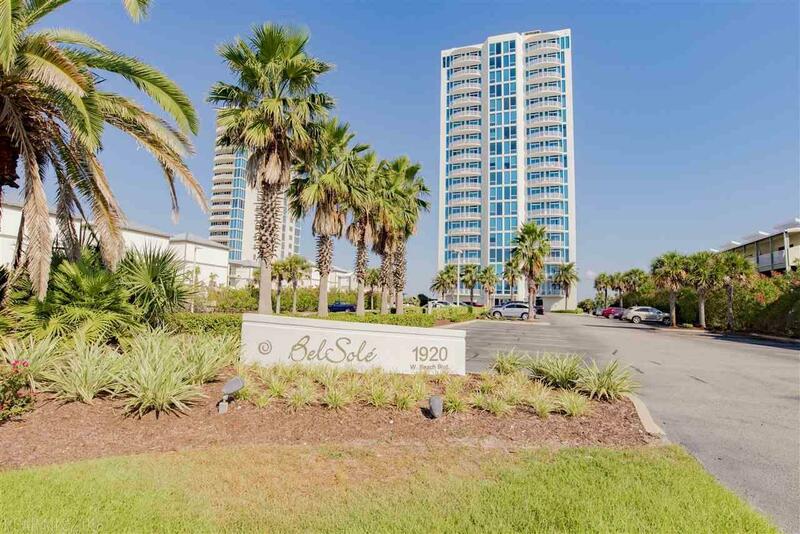 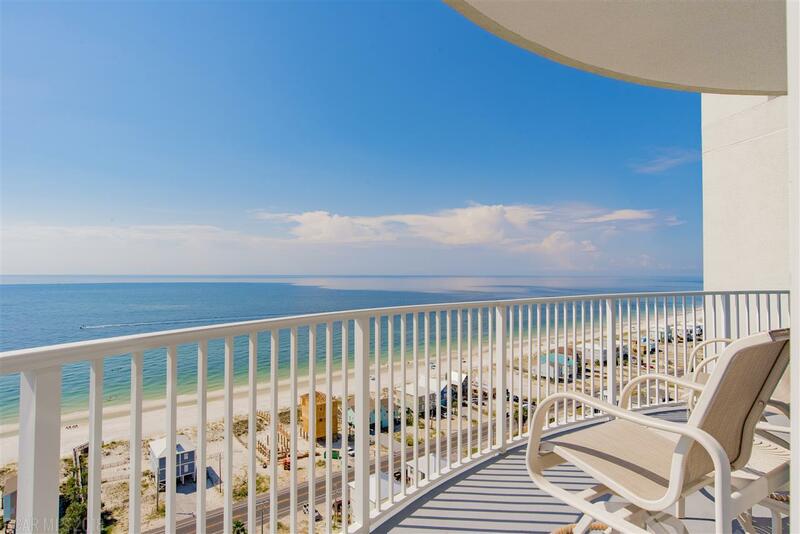 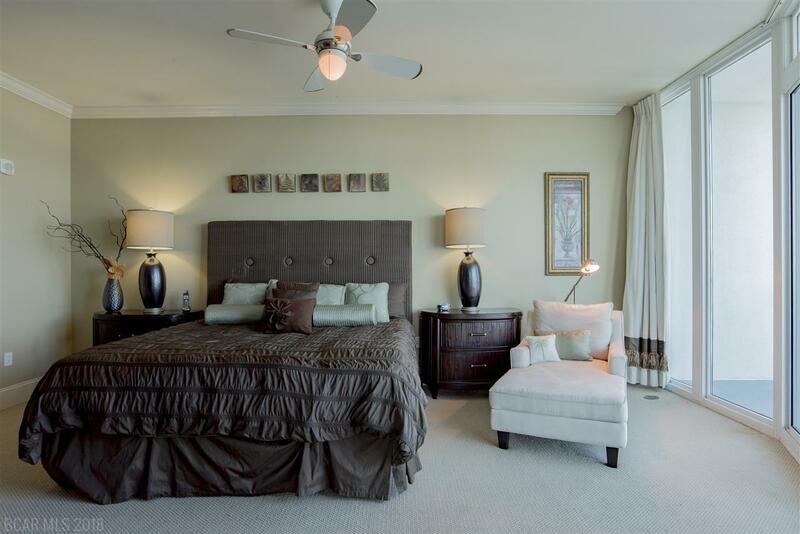 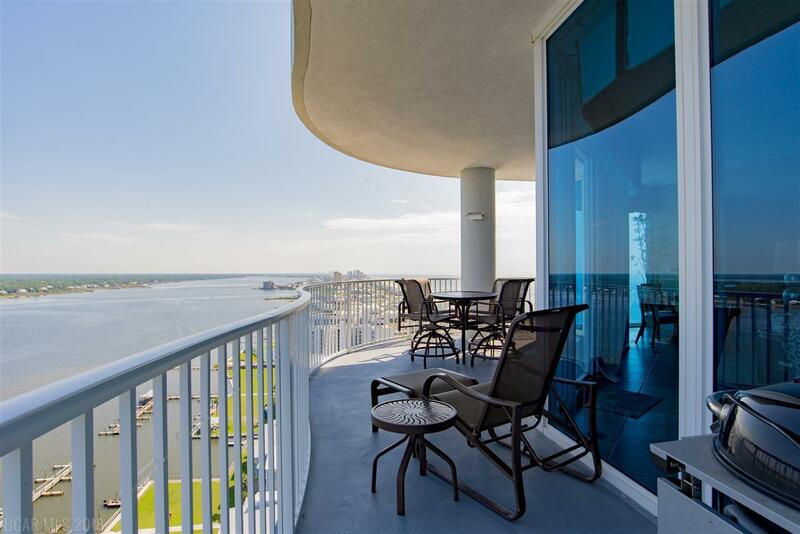 AMAZING PANORAMIC VIEWS from this luxurious east corner penthouse unit which boasts a 45&apos; balcony on the lagoon along with gulf front balcony off the bedrooms. The elevator access to the 18th floor is access controlled and is shared by only other condo. 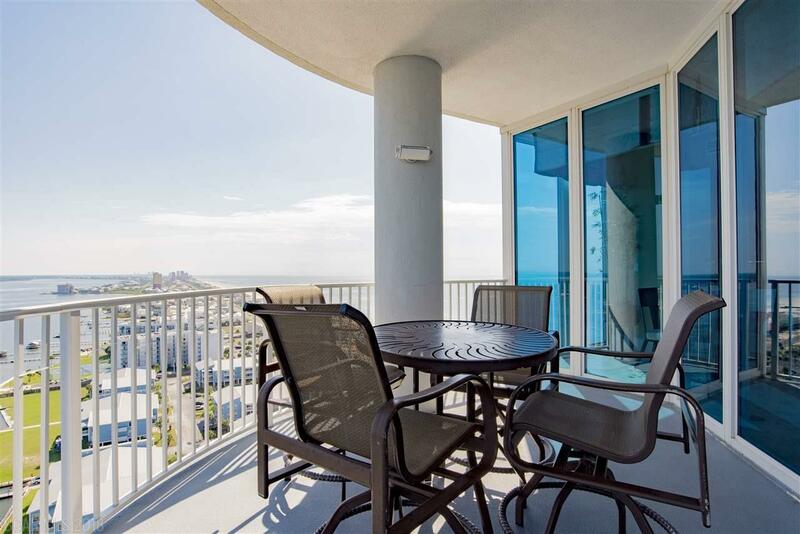 The privacy of this unit extends throughout the unit and out to the multiple balconies. 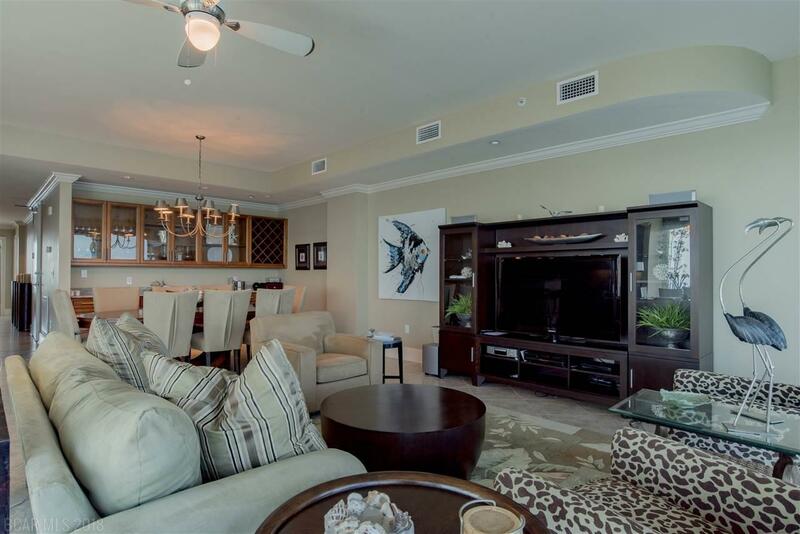 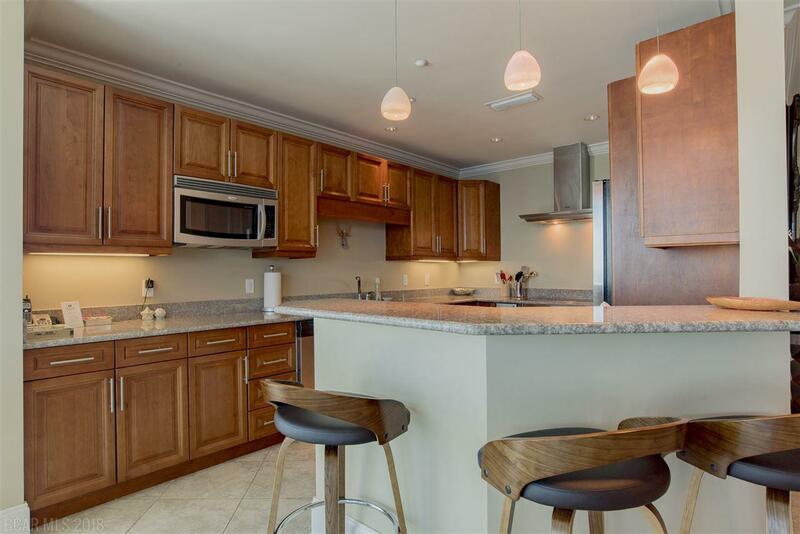 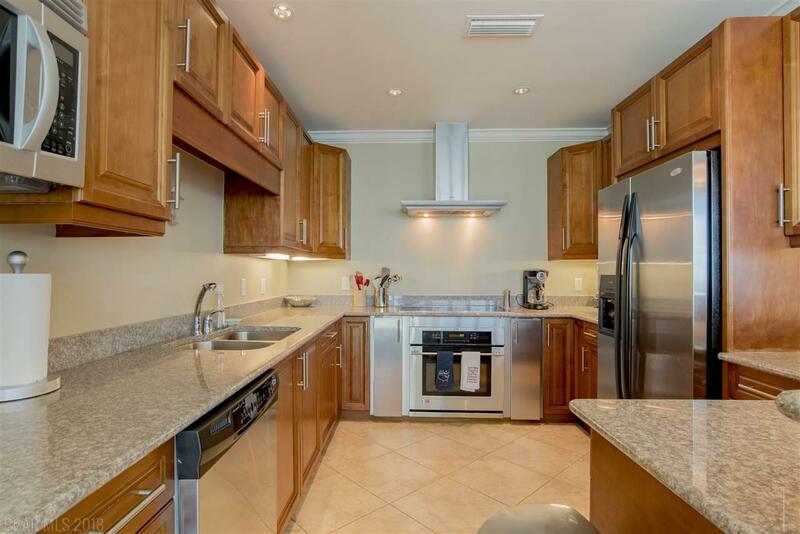 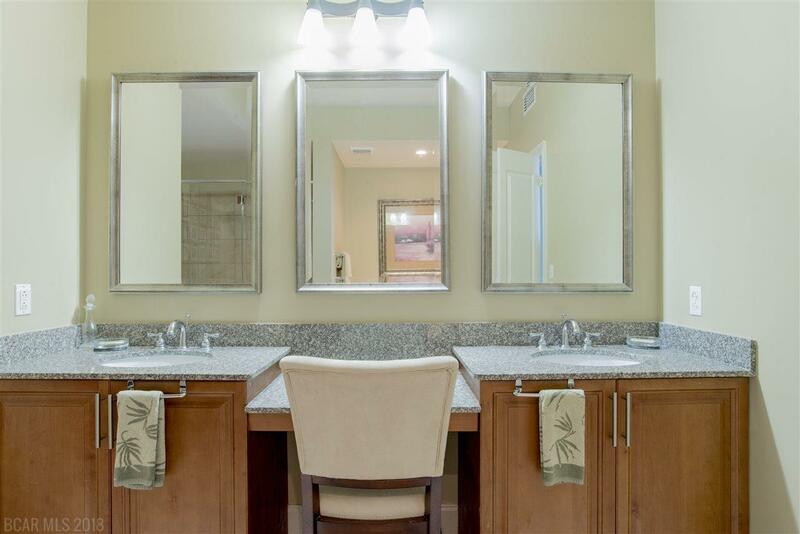 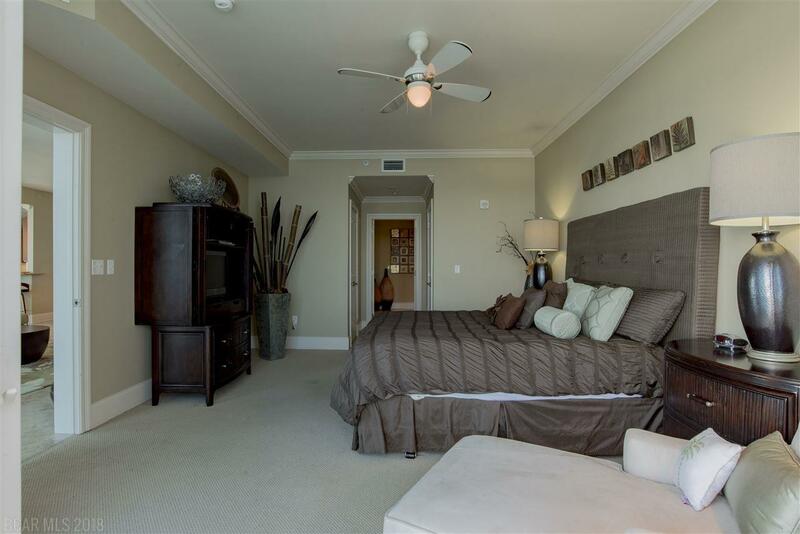 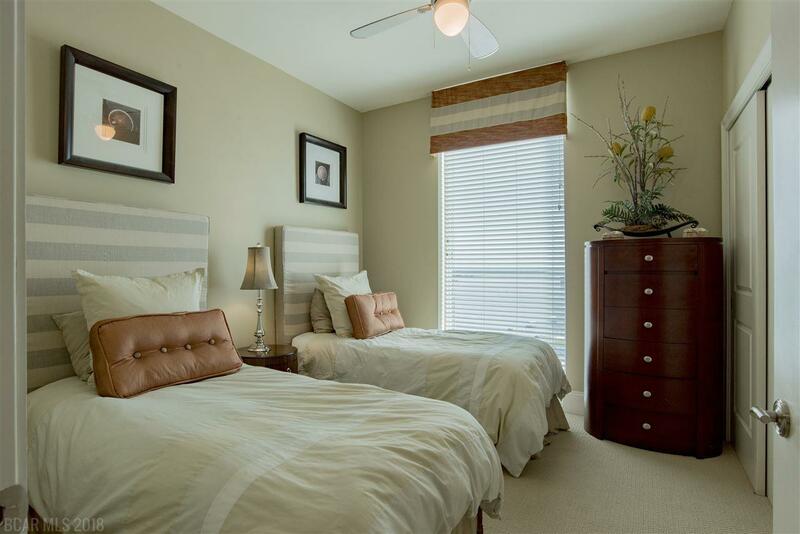 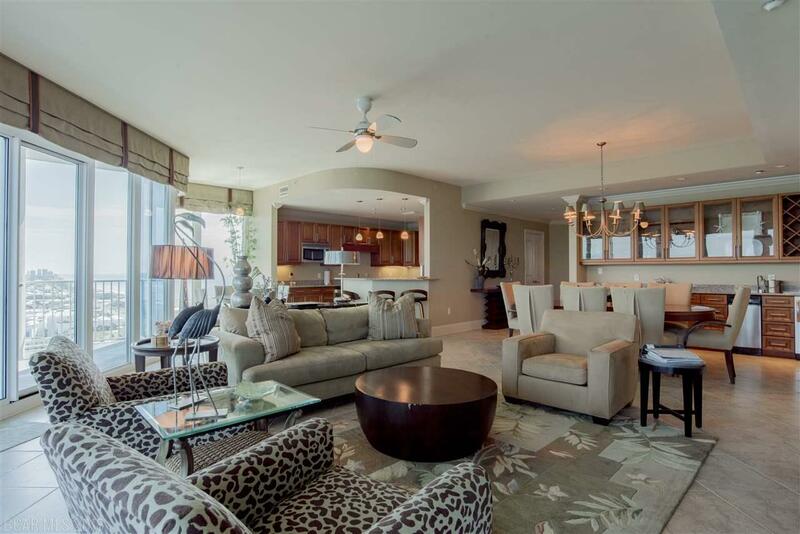 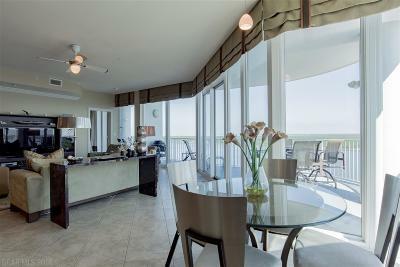 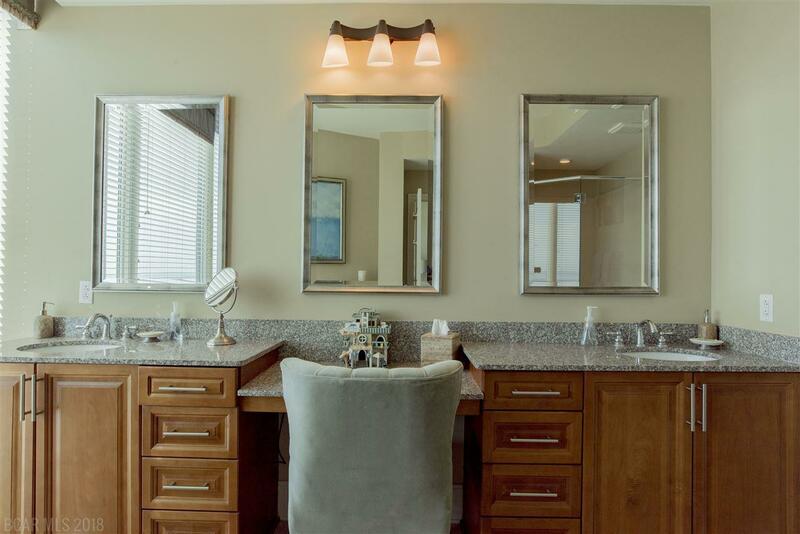 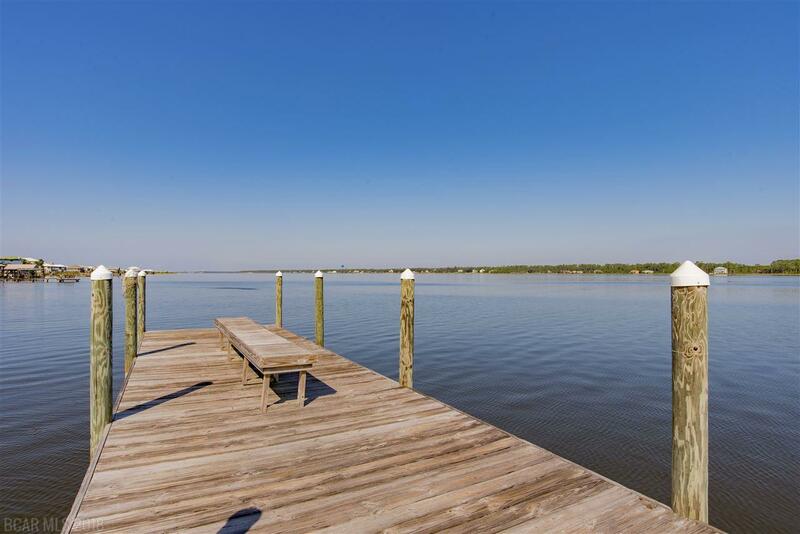 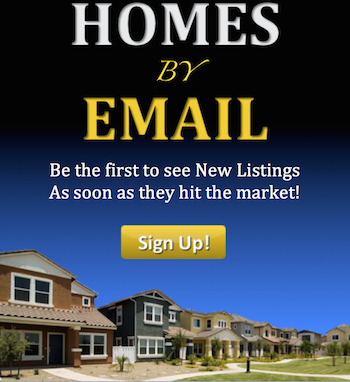 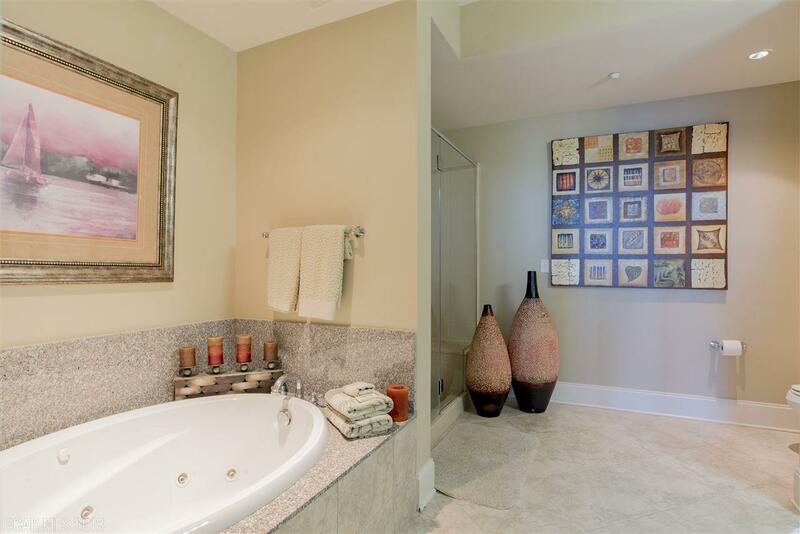 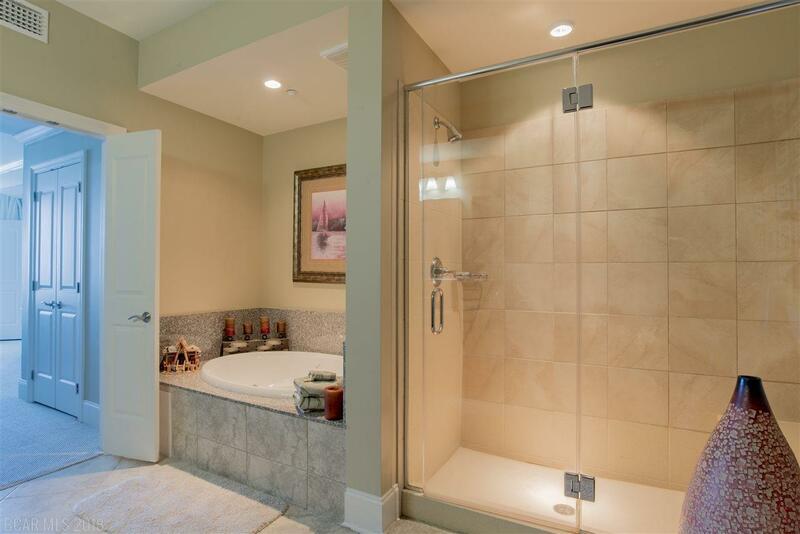 This upscale condo features 4 bedrooms / 4 bathrooms, boat slip #18, storage unit and one of four coveted garage spaces. 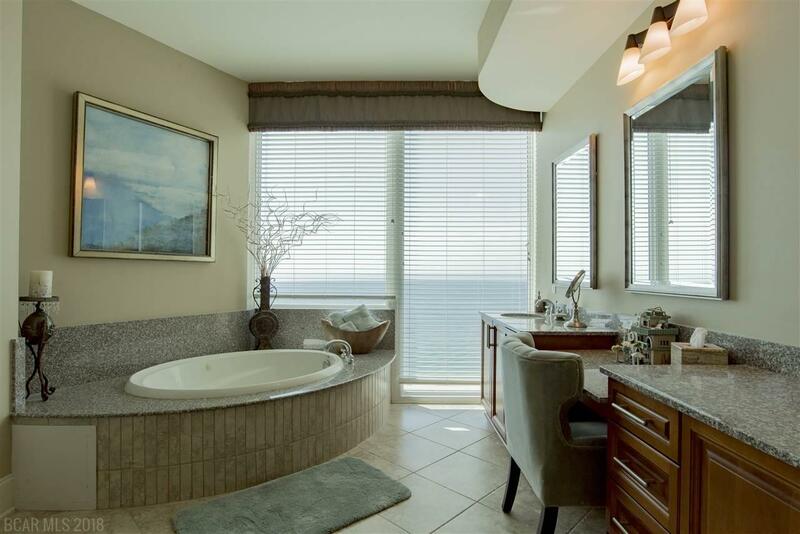 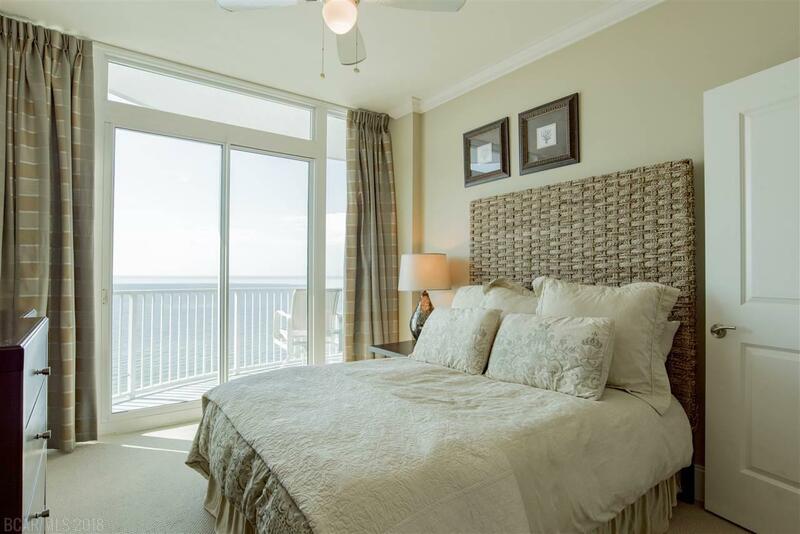 Two spacious master suites (one gulf front and one lagoon front) feature large walk-in closets, en-suite bathrooms with jetted tubs, separate showers and double vanities. 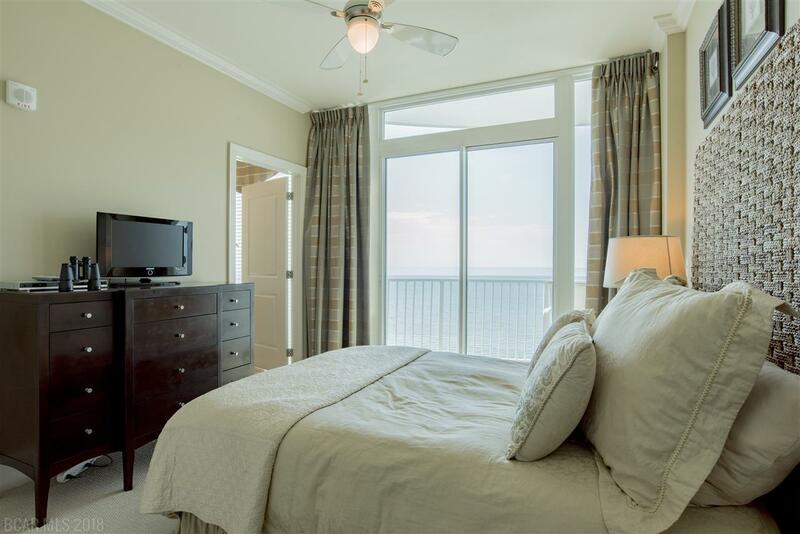 A third gulf view guest bedroom also features an en-suite bathroom. 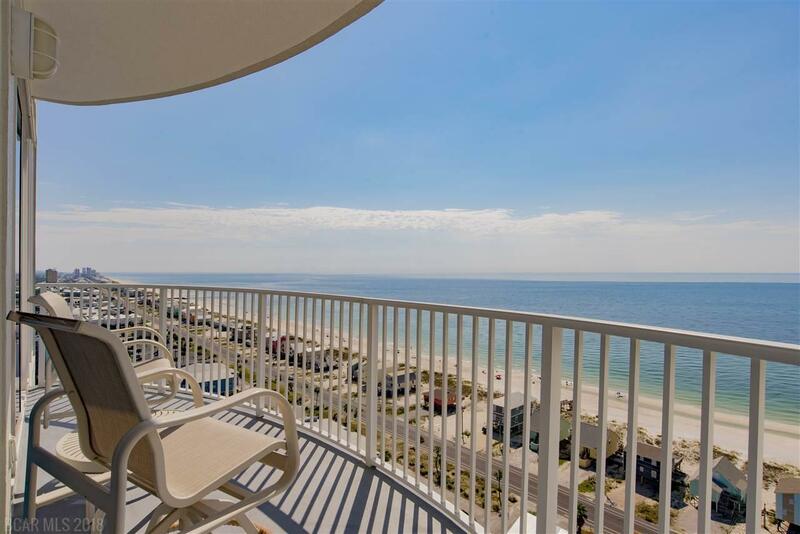 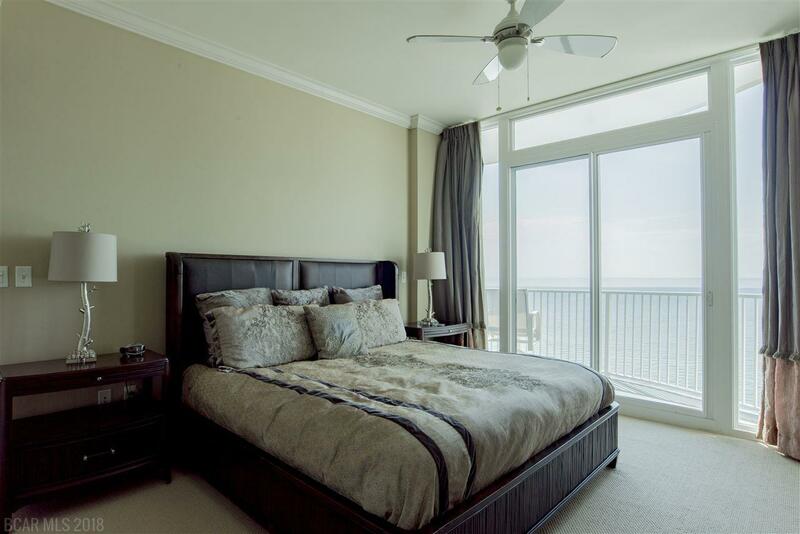 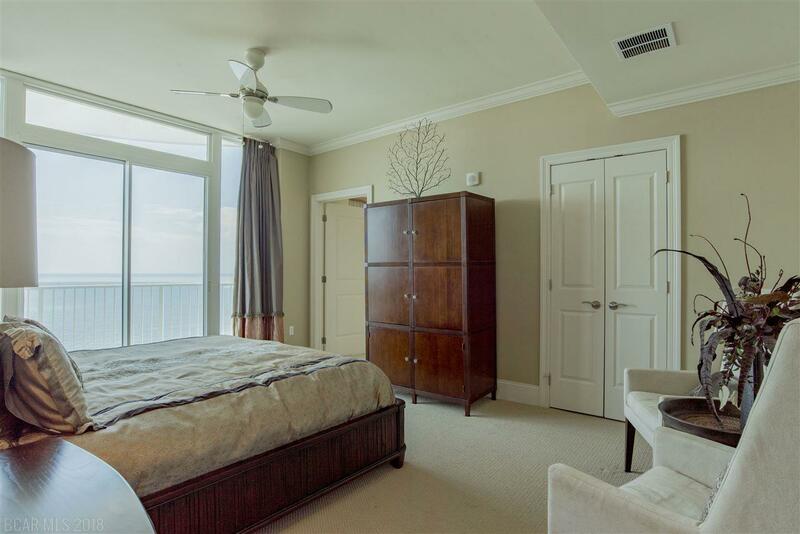 Not missing out on any of the views, the fourth bedroom takes advantage of the eastern Gulf Shores skyline with floor to ceiling windows. 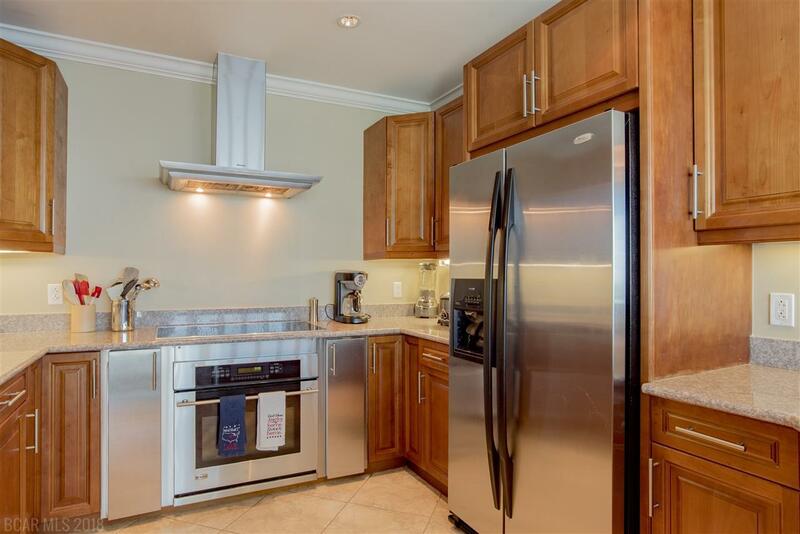 For those that enjoy cooking the kitchen will not disappoint with ample prep space, granite counters, plenty of storage, GE Monogram series appliances that continue into the dining area with an entertainment bar that includes an ice maker and beverage refrigerator. 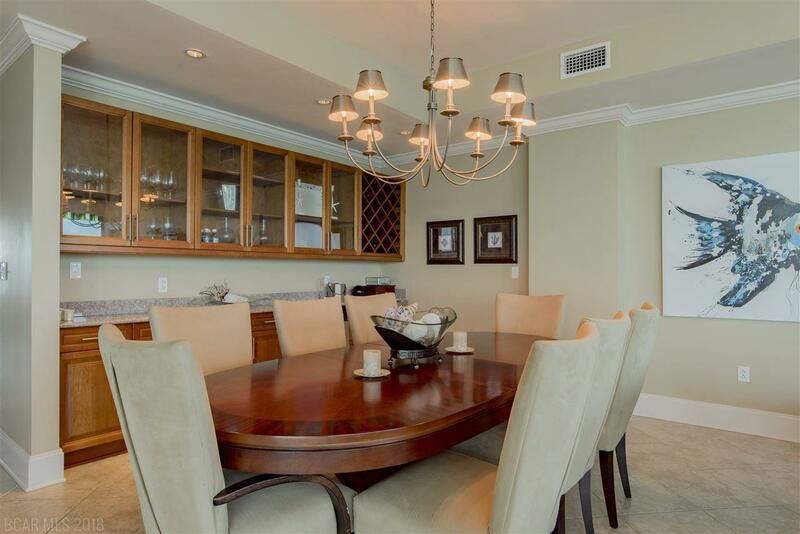 The kitchen and dining area open to the oversized living area, perfect for entertaining. 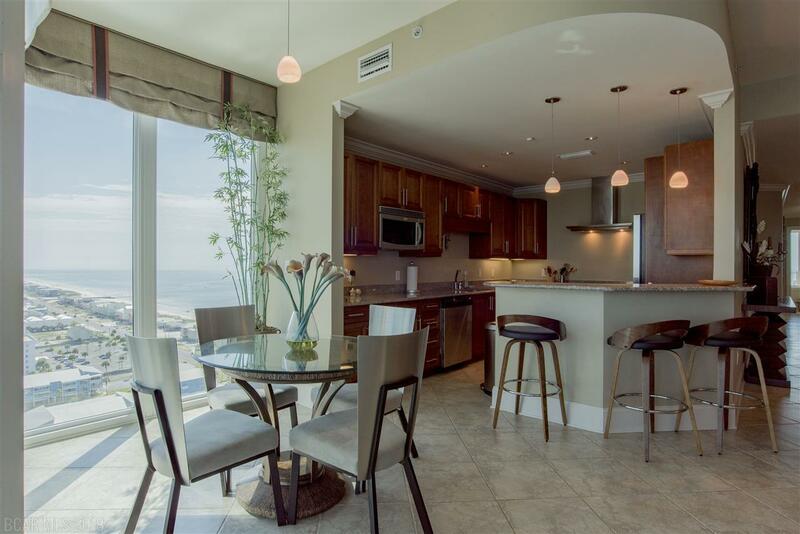 Along the entire north side of the condo a wall of full length floor to ceiling windows allow you to enjoy the unobstructed views that seem to go forever. 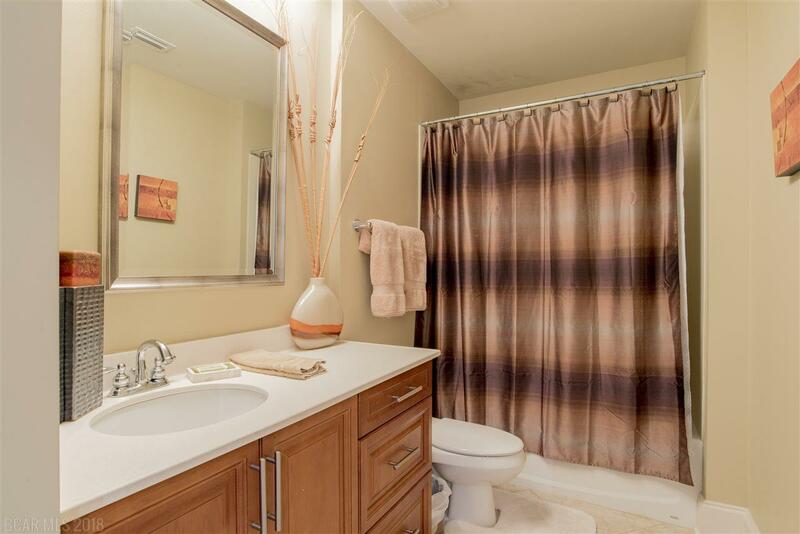 The unit also features a large utility room with stackable washer / dryer and extra storage. 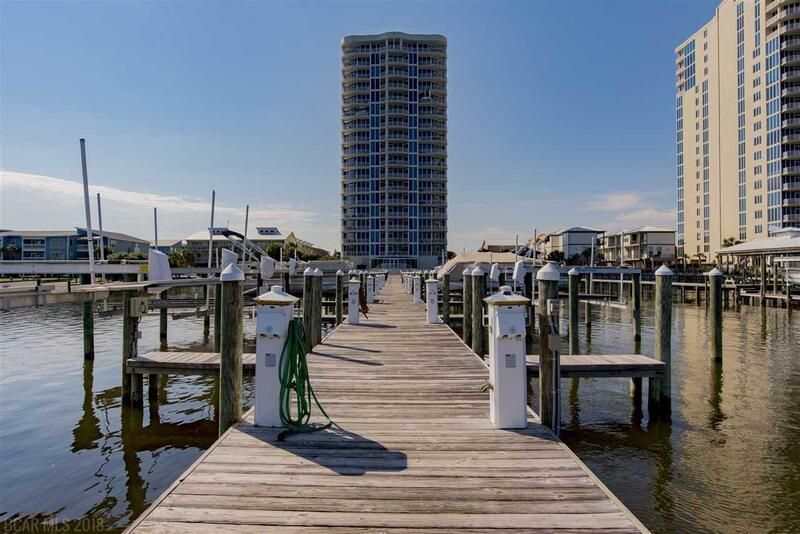 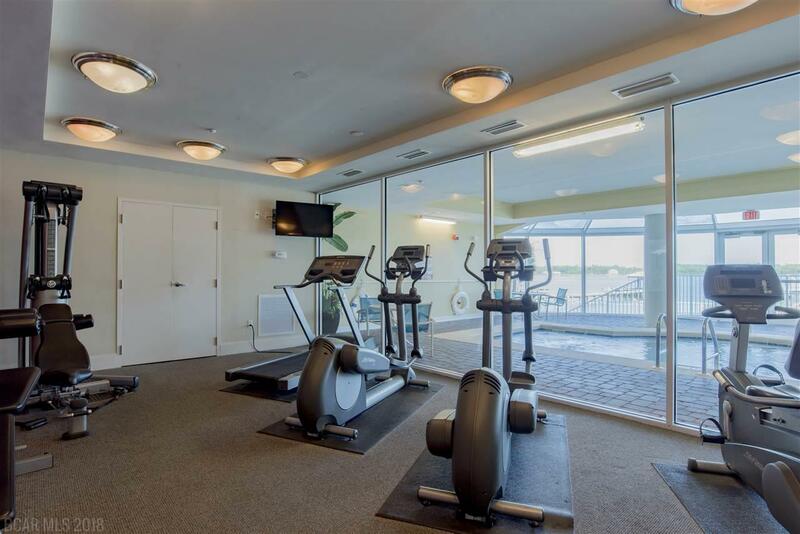 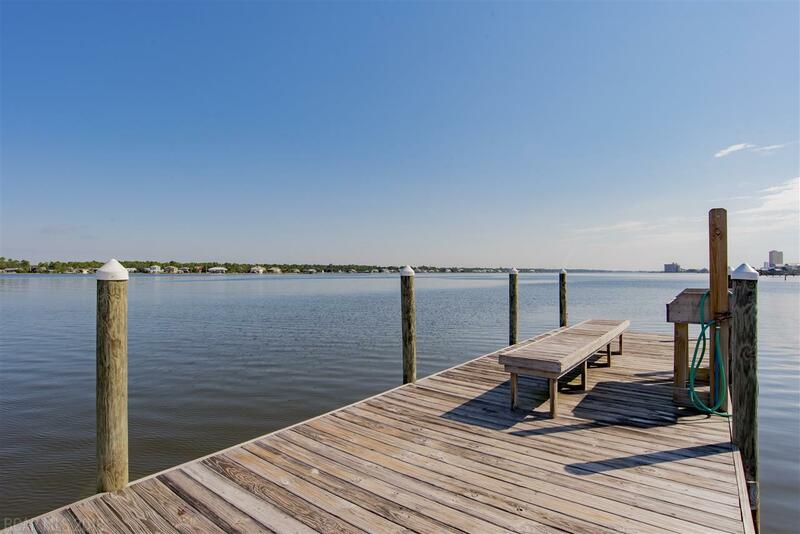 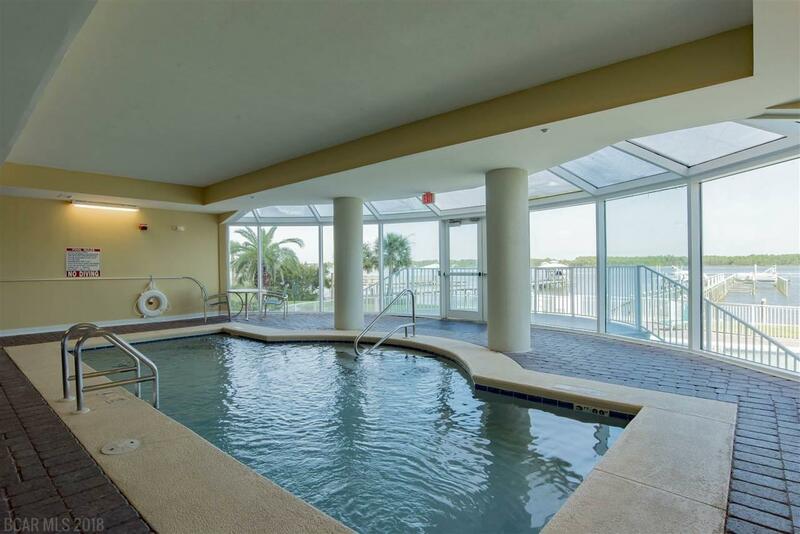 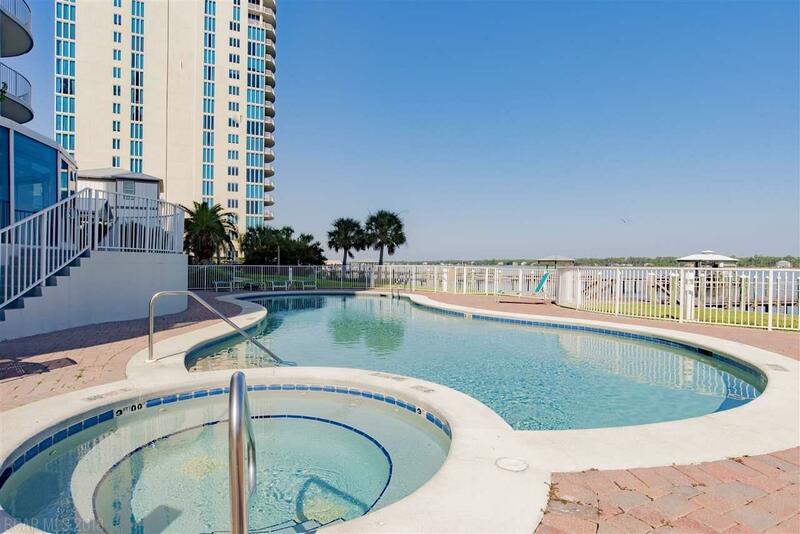 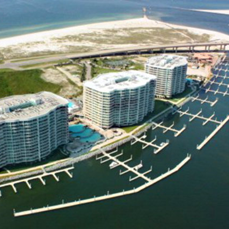 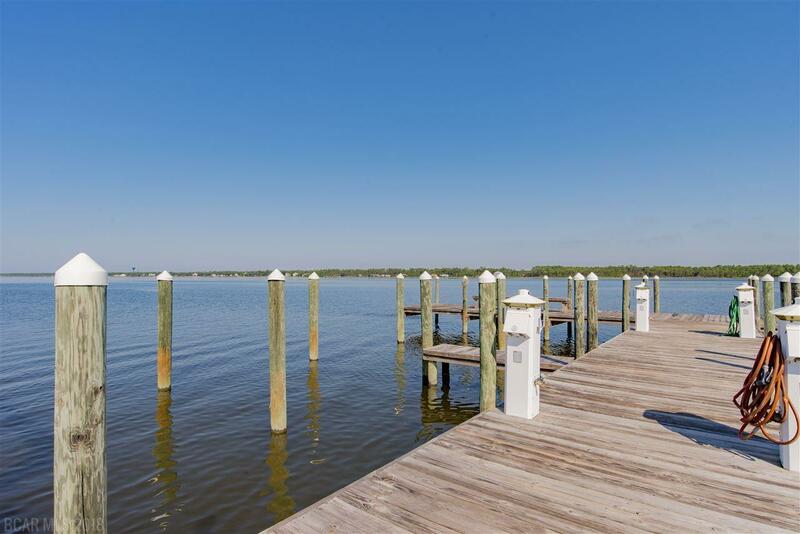 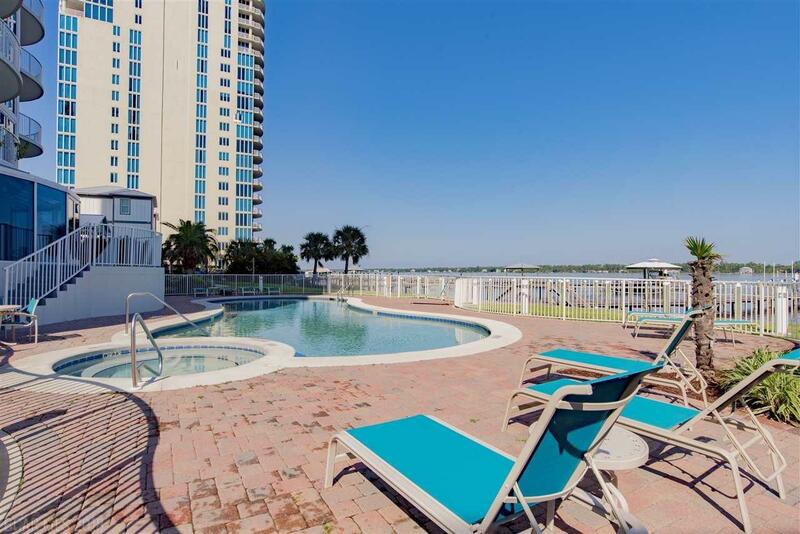 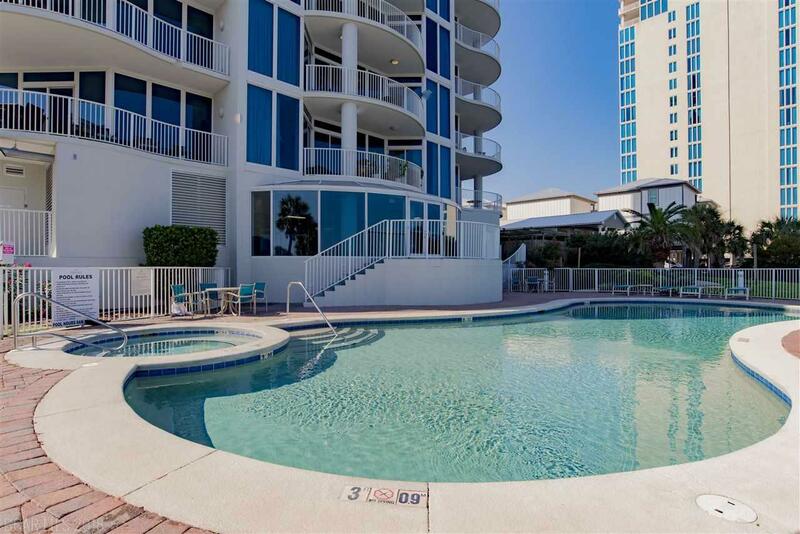 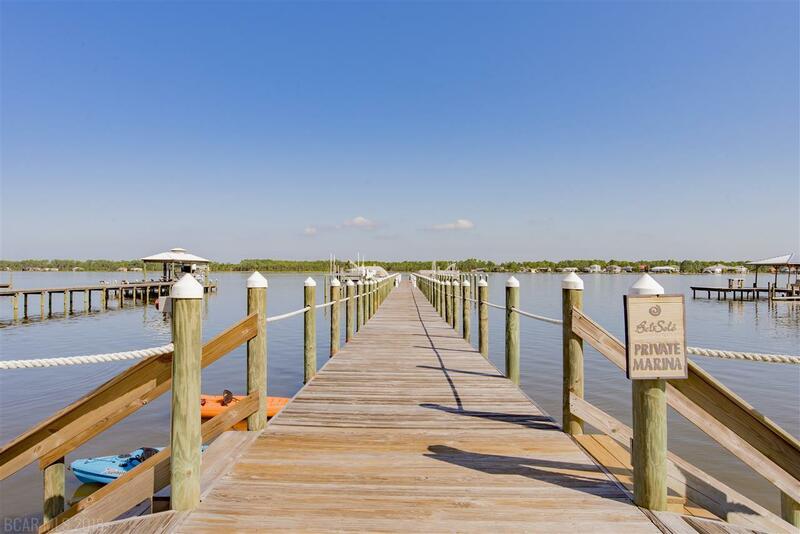 The complex boasts an indoor pool, outdoor pool & hot tub, fitness center, caged storage for all the "beach & boating" stuff, fishing pier with boat slips and deeded beach access. 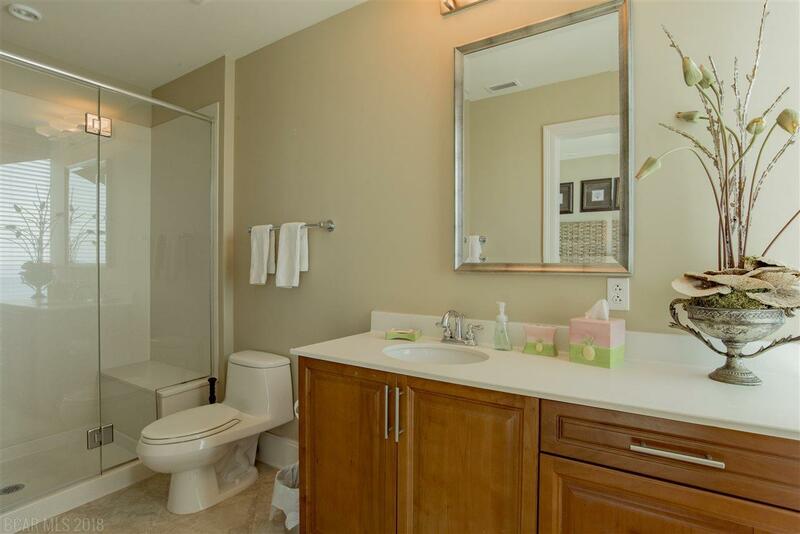 This unit has never been a rental unit. 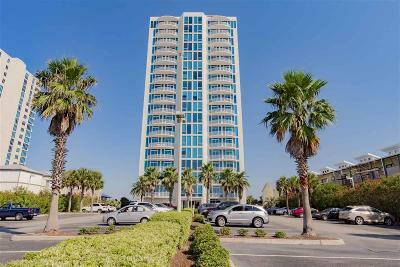 New A/C 2017. 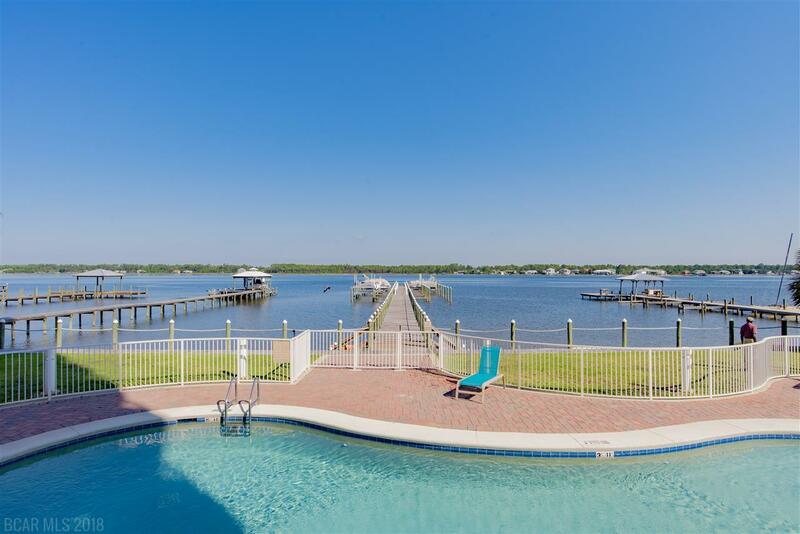 Dues for boat slip are $35 a month.